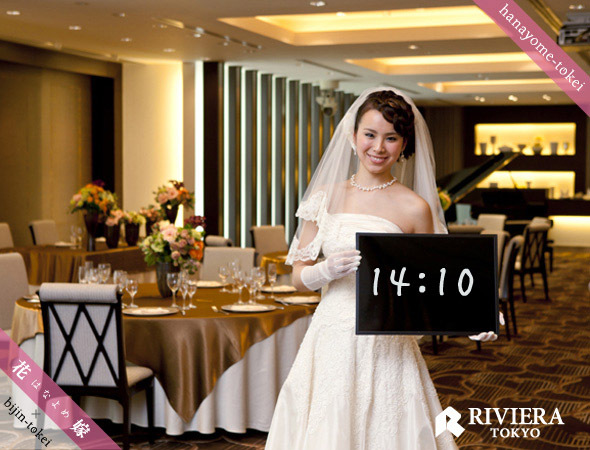 Last year, JAPAN Style made a post about an online digital clock service called “Bijin Tokei” and “Binan Tokei”. In Japanese, bijin is “beautiful woman”, binan is “handsome man”, and tokei means “clock”. With this service, an array of beautiful women and handsome men display the time every minute. Click HERE to check Hanayome Tokei! The women appearing in Hanayome Tokei are not just models, but actual brides on the top of the world, so you can see really happy faces every minue! The bridal company, Relie, is still recruiting new brides who want to appear on Hanayome Tokei. If you’re a bride-to-be, why don’t you apply for it ;D?